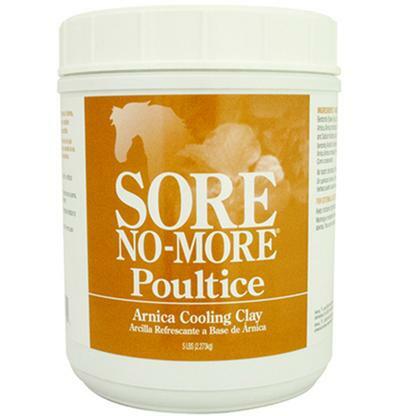 Sore-No-More Classic Poultice can be used stand alone or wrapped with paper or plastic. This all natural product uses the same anti-inflammatory and pain reducing formula as Sore-No-More Classic Liniment and the heat drawing powers of Bentonite Clay. 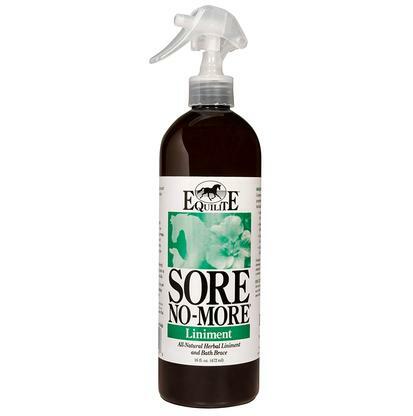 The gallon size of Sore-No-More Classic Liniment is ideal for use on the neck, poll, back, legs, knees, hock, and hooves to help reduce soft tissue discomfort. The all-natural herbal ingredients are safe for sensitive skin and chemically sensitive horses. The foaming action that can occur during massage is an indicator of heat that lets you be aware of potential problems. This liniment can be wrapped and used under tack. It is ideal for pre and post completion, training, and heavy work. 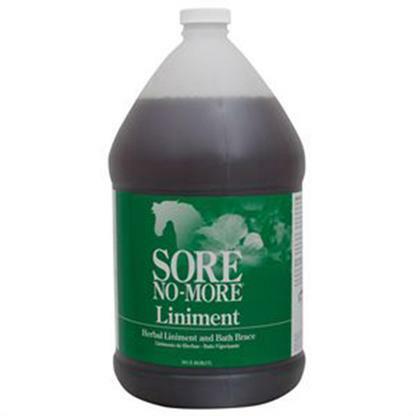 Sore No More Liniment 16 Oz. A cooling liniment that fights pain, inflammation, and soft tissue discomfort. It foams in areas of heat when massaged into area. This can let you know about areas of concern before they become problems. This liniment is made with all natural ingredients and is safe for sensitive skin, wrapping, and under tack. 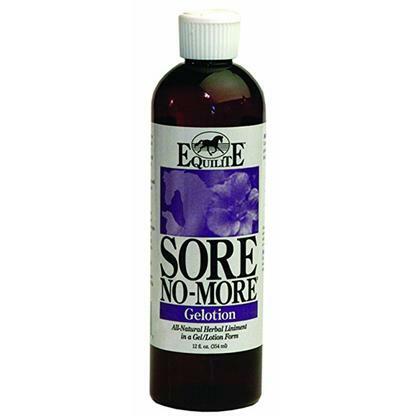 Sore No More Gelotion 12 Oz. All the benefits of Sore-No-More liniment in a gel lotion formulation that uses xantham gum to make a thicker product that stays where you put it. Herbal ingredients does the work you expect from a Sore-No-More product, providing relief from heat, inflammation, strains, sprains, and soreness, and other soft tissue issues. The Gelotion can be wrapped, covered, used under saddles, tack, therapeutics, and blankets. It will foam when massaged into areas of heat, giving you more information about your horse’s condition and possible performance issues.